Prime purpose of this lecture is to present Requirements Discovery. 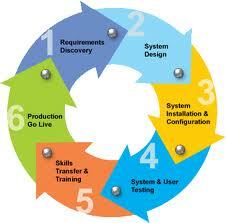 Other objectives are define system requirements and differentiate between functional and nonfunctional requirements. By this lecture you will able to understand the activity of problem analysis and be able to create an Ishikawa (fishbone) diagram to aid in problem solving. Finally explain the concept of requirements management and identify seven fact-finding techniques and characterize the advantages and disadvantages of each.